There is mystery and wonder in the sacred geometry that creates the star-like intake holes on this white sponge. Though sponges are animal they do not have much you can see moving. Inside they have a whip (flagellum) who’s movement causes water flow. Dissolved organic matter, diatoms and other very small goodies stick to a mucous lined membrane and they call that lunch. 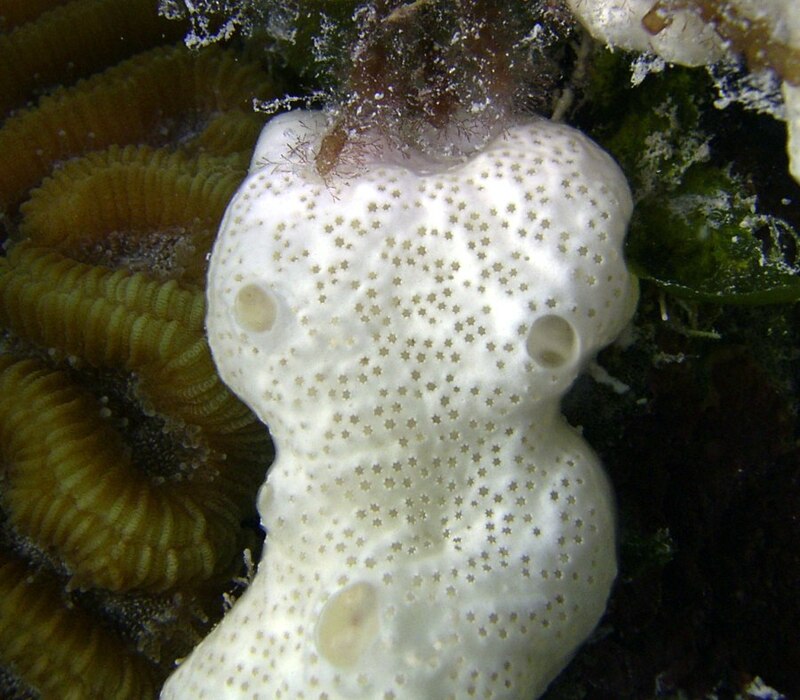 Sponges are very primitive life forms and were one of the first to develop. There is some interesting programming in their make-up. Look at the sacred geometry of the six sided star shaped intake holes. The exhaust water filtered of nutrients exits the larger round holes.